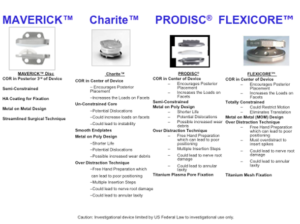 Dr Johnson has extensive experience in artificial disc replacement (ADR) and has been a lead investigator for FDA approved clinical trials for both cervical and lumbar artificial disc replacement technology since they were introduced in the United States over the past decade. He was a lead investigator clinical trials for the Charite lumbar artificial disc and the Bryan cervical artificial disc studies. He is a recognized authority in this complex technical development and serves as a consultant to manufacturers and inventors worldwide. 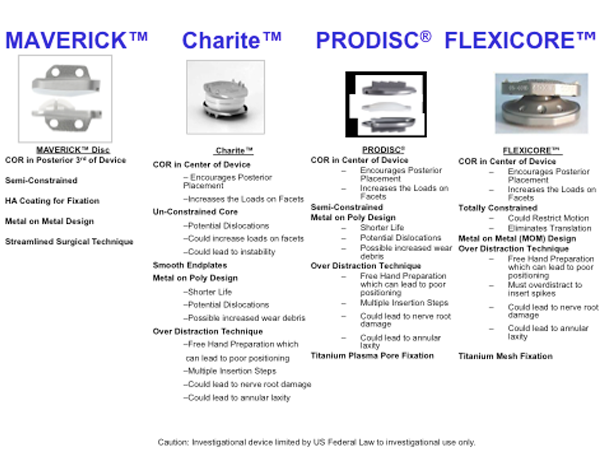 Under the direction of Dr Johnson, studies are currently underway with innovative applications of the Prodisc and Bryan disc technologies. 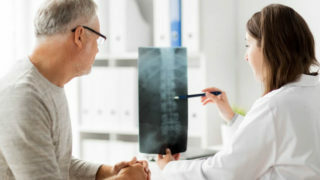 Visit www.synthesprodisc.com to see an example of an Artificial Disc being used in the U.S.
Villavicencio AT, Burneikene S, Pashman RS, Johnson, JP,: Spinal Artificial Disc Replacement: Cervical Arthroplasty; Part I: History, Design, and Types of Artificial Discs. 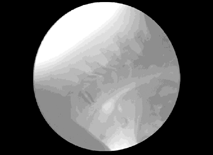 Contemporary Neurosurgery 29(12); June 15, 2007.